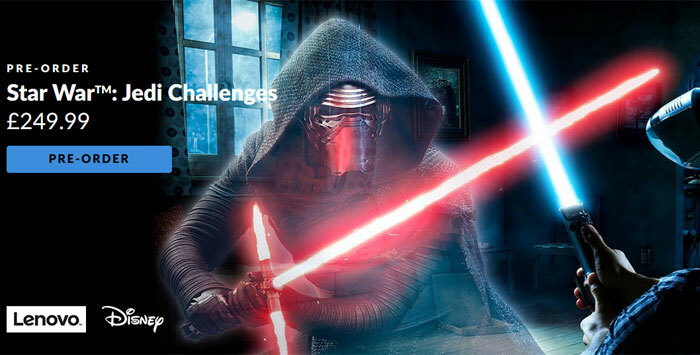 In mid-July we saw a video teaser from Lenovo providing a Star Wars: Jedi Challenges sneak peek. At IFA yesterday Lenovo and Disney fully unveiled the Star Wars: Jedi Challenges augmented reality Star Wars experience. Star Wars: Jedi Challenges is a mix of software experiences and hardware designed to appeal to Star Wars fans. 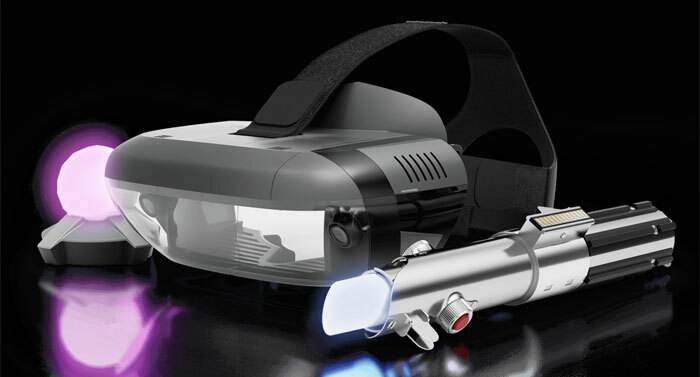 In the pack you will find a Lenovo Mirage AR headset, Lightsaber controller, tracking beacon, and various accessories to charge/power the devices and to fit your Android or iOS phone. If it's not already clear, the Lenovo Mirage AR headset is a smartphone powered headset. (Separately at IFA, Lenovo revealed its Windows Mixed Reality HMD - the Lenovo Explorer.) The Lenovo Mirage requires one of the following smartphones to do its stuff: iPhone 7 Plus, iPhone 7, iPhone 6s Plus, iPhone 6s, Samsung Galaxy S8, Samsung Galaxy S7 edge, Samsung Galaxy S7, Google Pixel XL, Google Pixel, Moto Z. On the headset there are Select, Cancel, Menu buttons and it contains dual motion tracking cameras. You will have to add the weight of your phone to the headset weight of 470g. The other hardware in the Star Wars: Jedi Challenges pack includes the iconic Lightsaber controller. It features Power, Blade, and Force mode buttons. In physical terms it measures 315.5mm x 47.2mm and weighs 275g. The tracking beacon measures 94.1mm x 76.7mm, weighs 113.5g and features just power and colour switches. The software experiences tied in with the hardware bundle are incredibly important to the reception this Lenovo / Disney product receives. There are three such experiences listed at this time, ranging from Lightsaber battles, to Strategic combat, to Holochess. You can see a snippet of each of the experiences in the video embedded above. 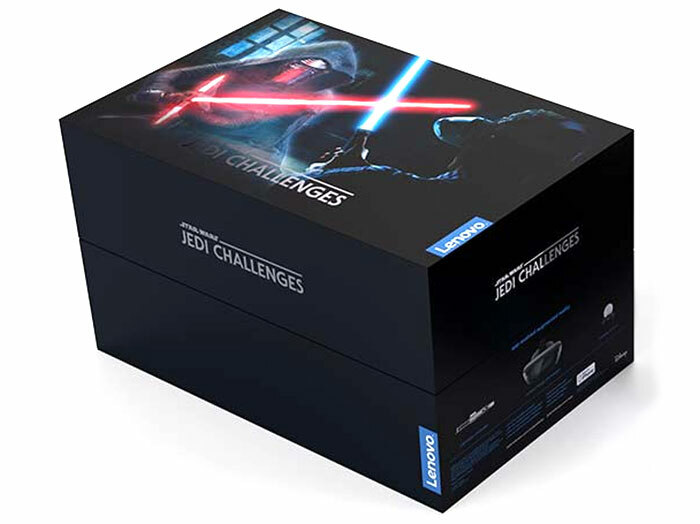 Star Wars: Jedi Challenges is available to pre-order now for £249.99 (inc VAT) directly from Lenovo. According to the order page it will ship from mid-November. I've got a moto z but i'm not spending almost the same cost of the phone again on something i'd use a dozen times max! As above - Phone-dependent and requires taking it out the case every time you want to play. Expensive kids toy, nothing more.